this field since 1999, UAB “Vestaka” has become a reliable and competitive partner in logistics. 2000 - 2018 actively participated in the activities of the railway services companies association „GELPA“, one of the founders of which was UAB „Vestaka“. 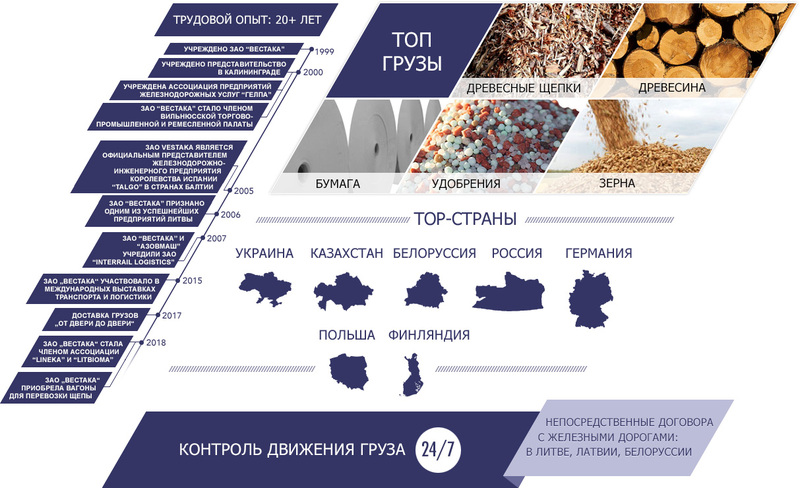 2007 - 2015 together with “Azovmash” factory in Ukraine, established the joint company UAB “Interrail logistics” and organized car transportation by rail to Central Asia with own wagon park. 2014-2015 UAB „Vestaka“, taking advantage of EU funding opportunities, participated in international transport and logistics exhibitions. In 2017 UAB “Vestaka” started to operate as a road transport forwarder, offering complex logistics solutions. In 2018 joined two associations. 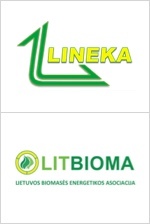 UAB“ Vestaka“ became a member of the association „LINEKA“. „LINEKA“ unites companies and organizations involved in freight forwarding, logistics and related services. the most environmentally friendly mode of transport. At the end of the 2018year, UAB „Vestaka“ acquired its first wagons for transportation of technological chips (model 12-6963). On September 19th, 2014 JSC “Vestaka” signed the project “JSC “Vestaka” incentive for export development”, project code No.VP2-2.1-ŪM-04-K-05-126, funding and administration agreement, financed in accordance with the 2nd priority of the 2007-2013 Economic growth action program measure “Increasing business productivity and improving business environment” VP2-2.1-ŪM-04-K “New possibilities”. Cargo forwarding by railway transport is the main activity of JSC “VESTAKA” for 15 years already. It has established itself in the country’s market as a stable and reliable cargo forwarding company. Its main clients are companies that transport their cargo from/to Lithuania. 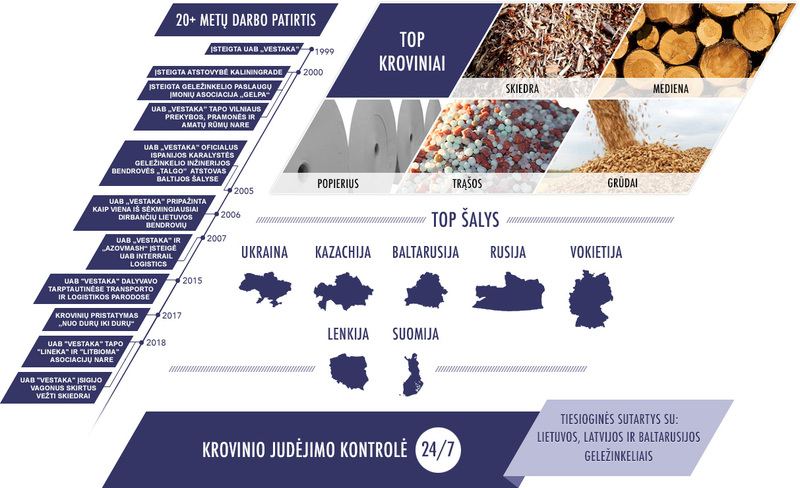 However, Lithuanian market is relatively small. For that reason, in order to expand its activity and to exploit the possibilities provided by the “Rail Baltica” project, the company is intensively looking for new foreign markets and clients. On November 5-7th, 2014 JSC “Vestaka” participated in the international transport exhibition “TRANSPOLAND” which took place in Warsaw, Poland. It was attended by 98 participants from different countries. During the “TransPoland” exhibition in Warsaw, JSC “Vestaka” has introduced its activities and services. Due to the lack of companies representing a particular cargo transportation by rail the interest in services offered by JSC “Vestaka” was high. Therefore, the result achieved at the exhibition has exceeded the primary expectations. Have any questions? Write to us.